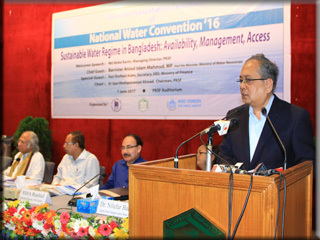 An outcome presentation ceremony on National Water Convention’16, held in December 2016, took place at PKSF Bhaban, Agargaon, Dhaka on June 07, 2017. It was jointly organized by Palli Karma-Sahayak Foundation (PKSF), Bangladesh Unnayan Parishad (BUP), and NGO Forum for Public Health. Mr. Md. Abdul Karim, Managing Director, PKSF warmly welcomed the guests with a call to mitigate water-related problems in Bangladesh. Introductory remarks were made by Dr. Nilufar Banu, Executive Director, BUP. A presentation of the Convention outcome was given by Mr. S.M.A. Rashid, Executive Director, NGO Forum for Public Health. Barrister Anisul Islam Mahmud, MP, Hon’ble Minister, Ministry of Water Resources was the Chief Guest and Mr. Kazi Shofiqul Azam, Secretary, ERD, Ministry of Finance was present as the Special Guest of the ceremony. 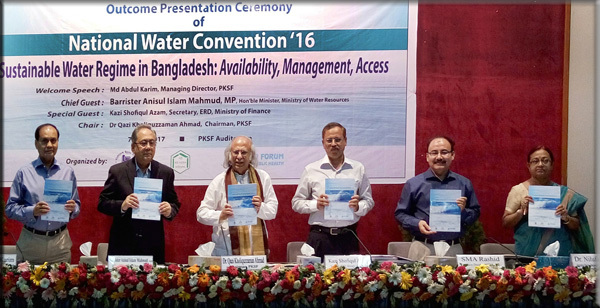 A report was published based on the resourceful findings of the 2-day National Water Convention titled “Sustainable Water Regime in Bangladesh: Availability, Management, Access” on 28-29 December 2016. 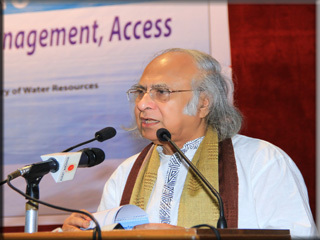 Thirteen keynote papers were presented by eminent water experts, renowned academicians, researchers, top government officials, international and national NGO professionals during the convention. The Hon’ble Water Resources Minister praised highly of this publication and pledged to respond positively in light of the findings. 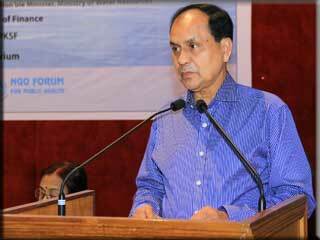 Mentioning the recent havoc in the haor areas, he urged the water experts to display more sense of responsibility and objectivity in commenting on issues as critical as this. Dr. Qazi Kholiquzzaman Ahmad, Chairman, PKSF and Convener of the ‘National Water Convention 2016′ chaired the outcome presentation ceremony. 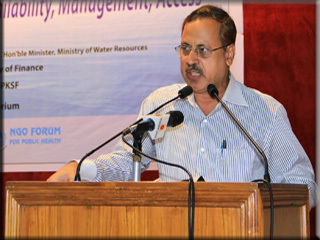 In his speech, Dr. QK Ahmad placed importance on promoting integrated water-resource management in Bangladesh. Dr. Md. Jashim Uddin, Deputy Managing Director, PKSF delivered the vote of thanks at the end of the ceremony. he highlighted the background of the convention and expressed hope that the outcome of this convention will help formulate effective water-related policies to meet demands of the people.